Skyline UAV can provide a number of UAV Aerial Spraying services and solutions. If you need to access remote or dangerous areas, Swiss Drones SDO-50V2 is the solution. 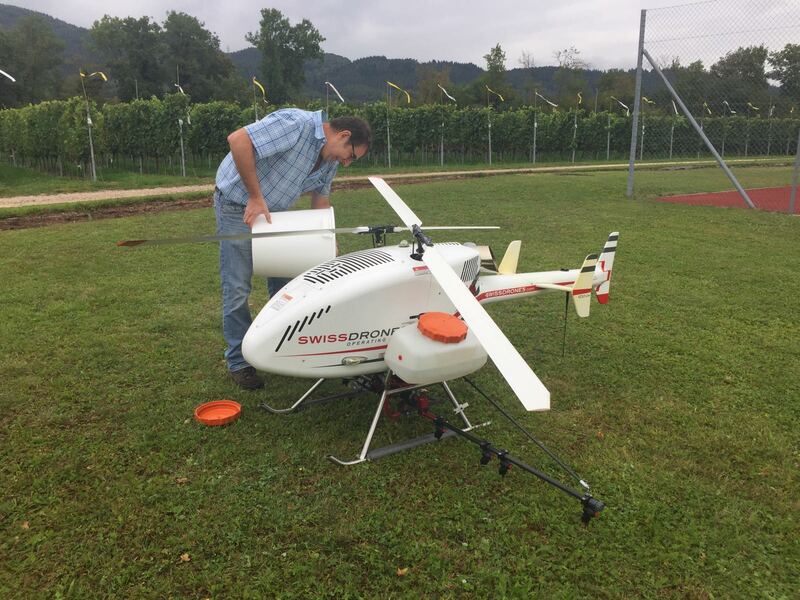 Swiss Drones SDO-50V2 offers a cost effective, accurate and efficient spraying with zero soil compaction. Spend 100% of your time over the target. Plus, there’s no pilot to worry about. The craft flies lower and slower than a boom sprayer, so no drift. Its golden crown though, lies in applicating areas that simply cannot be accessed by land based vehicles. Yes, you can swing off a rope to get there, but why risk it? 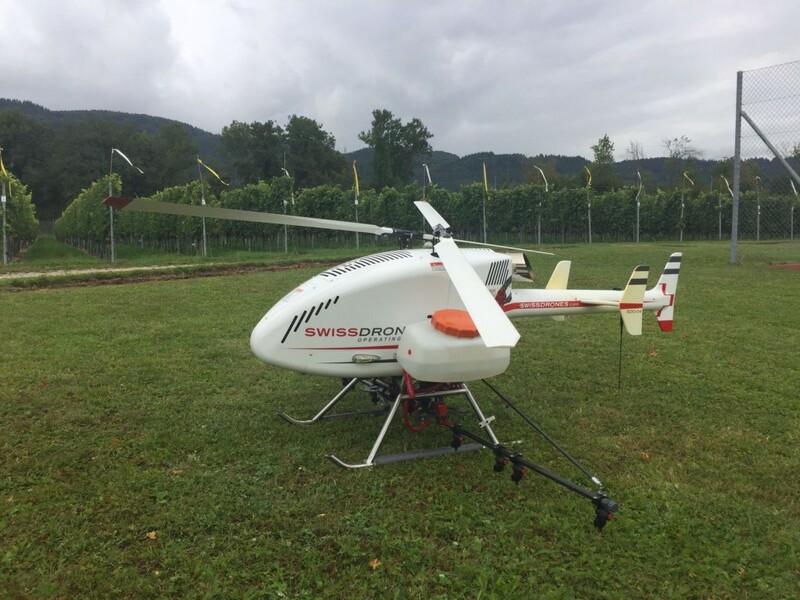 The Swiss Drones SDO-50V2 can fly in, apply the product and safely return. Blackberry and prickly acacia are specialties of the machine as far as weeds go. For physical objects, spraying the faux rock side of dam walls is a specialty – and prime example – of where the machine comes into its own. With a slope of 43 degrees, no truck or tractor will ascend the wall. The only other option is to send blokes on ropes down the wall to spray by hand. Big personal risk and also hard to obtain exacting application rates by hand. Enter the Swiss Drones SDO-50V2. What it takes three guys three days to do, the Swiss Drones SDO-50V2 can do in typically six hours of flight time. No blokes on walls, no risk of falling, no risk of injuries. Travelling Australia wide, Skyline UAV can come to you and achieve your goals quickly and easily. Please get in contact with one of our senior operations staff members today to find out how the Swiss Drones SDO-50V2 can help with your difficult access spraying requirements.